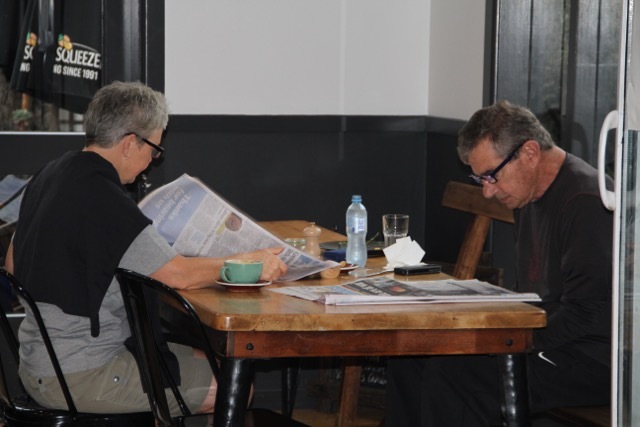 There has been a lot written recently about the loss of our great friend Richard Riddiford, so I won’t go on too much here, but just share these photos – here’s me and Richard at the café, where we met every single morning when we were in Martinborough (At Christmas we phoned each other, not so much to exchange seasonal greetings as to complain that the café was closed and there was no paper). We were the Breakfast Club, originally a club of three, with the late [great] Juliet Hensley, we had a revolving list of honorary members, and lately the lovely Caroline had taken over her mother’s spot. This must have been a good morning, because I was allowed to read the paper, either that or I was talking too much and had been given something to do to shut me up. There wasn’t always a lot of talking though, it was more a case of breathing the same air. 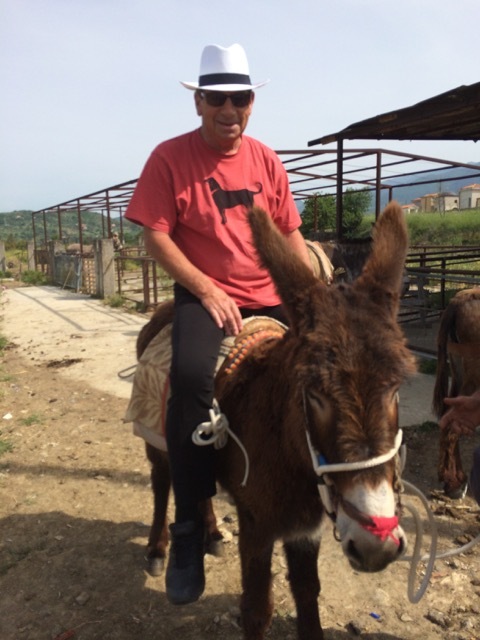 But here’s a light-hearted one, taken in Sicily, apparently it was Richard’s idea that they should all go off on a donkey excursion, hard to believe but fun. And of course the whitebait fritters, he made the best, here he is in the kitchen at Palliser, cooking them. He always said, and following a fair bit of practice (he always insisted we serve them whenever possible) I would have to agree with him, that the secret is to cook them for a surprisingly long time in an indiscreetly large amount of butter. 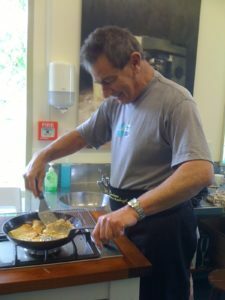 He’s left a very large Richard-sized hole in Martinborough which will be very hard to fill, we all miss him, at Palliser, at the café, at Pain and Kershaw, everywhere. It will not be the same without him.